Due diligence is an essential activity in mergers and acquisitions (M&A) transactions. In the M&A process, due diligence allows the buyer to confirm pertinent information about the seller, such as contracts, finances, and customers. By gathering this information, the buyer is better equipped to make an informed decision and close the deal with a sense of certainty. Due diligence generally commences when the letter of intent (LOI) is signed. Learn more about due diligence in mergers and acquisitions, what steps you can expect to happen during the M&A process, and why due diligence is very important. Due diligence is an audit or investigation of a potential investment to confirm facts that may have a direct impact on a buyer’s decision to merge or make a purchase. During the due diligence process, research is conducted to ensure that all facts pan out before entering into a financial transaction or agreement with another party. 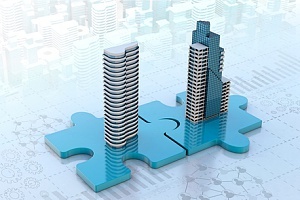 In a company acquisition, due diligence typically includes the full understanding of a company’s obligations, such as their debts, leases, distribution agreements, pending and potential lawsuits, long-term customer agreements, warranties, compensation agreements, employment contracts, and similar business components. Due to the complex nature of mergers and acquisitions, the due diligence process can last several weeks to several months. The first step of the process involves gathering a team who will be responsible for conducting the due diligence. To ensure that the process is executed properly, the buyer will need a team of legal and financial experts with special knowledge in M&A. A due diligence team typically consists of investors, accountants, lawyers, personal consultants, and possibly other service providers based on the industry your business is in. The next step in the process involves the gathering of important documents. The due diligence team will create a detailed checklist of what documents are needed and in what time scale the documents are due. Once a confidentiality agreement is signed, the due diligence team can then request this information from the target company. In some instances, the buyer and target company will arrange a meeting or series of meetings to discuss the M&A process and document requirements. During these meetings, both parties are better able to determine their compatibility and the buyer can make sure that the investment is sound. 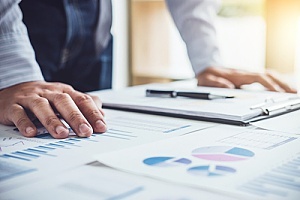 While the exact documents required during due diligence can range depending on the type of business, size of the business, and similar factors, there are several kinds of data that are commonly requested across the board. These typically include corporate records, IP contracts, stockholder information, and a history of litigation. The buyer may also request regulation information, insurance information, leases, and other financial information. Overall, the buyer will need to get a solid understanding of the target company’s financial health, operational assets, legal matters, and strategic position. If any of the information provided poses a problem, the business deal may not occur. The next step of the due diligence process involves reviewing all of the information provided by the target company. If the buyer has any questions regarding the documents, now is the time for the target company to address their concerns. If for whatever reason the buyer is unable to find certain answers based on the information provided by the target company, then the buyer can request additional information. There are certain things that the due diligence team will look for when reviewing the documents, such as ‘red flags’ that could indicate a potential problem with the deal. During the review process, the team will determine if the problems found may result in the deal being abandoned altogether or if the offer should be modified. In some cases, information found could change the structure of the deal or its timeline. To help speed up the process, the due diligence team may hold meetings with the target company to try and address any questions or concerns in a timely manner. 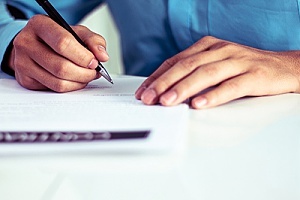 Once the buyer is satisfied with the information given and chooses to proceed with the transaction, the final step is to write a purchase agreement and send it to the target company for approval. This report will include a summary of any problems that were discovered during the due diligence process, as well as any areas that were found to be satisfactory. At the end of the report, the buyer will conclude with a final assessment of the deal. In many cases, the buyer will see the acquisition as a sound investment and the transaction will continue as planned. However, in some instances the buyer will request for the deal to be adjusted based on their findings during the due diligence process. If the problems are found to be too challenging to overcome, the buyer may abandon the deal. There are many advantages to undergoing M&A due diligence. First, the buyer is better able to adjust their expectations as they review the unique details of a company. This information can also come in useful during negotiations. When a buyer is able to gather important data on a company, there is a lower risk of unexpected legal and financial problems. Due diligence is essentially an effective way for buyers to protect themselves from risky business deals. As the due diligence process requires a great amount of communication between the two parties, the businesses are also able to form a working relationship. Mergers and acquisitions are not always black and white. In fact, these complex transactions can be lengthy and often requires a lot of back and forth between the buyer and seller before the transaction can be completed. Without due diligence, companies may fail to disclose important information that could ultimately affect a buyer’s decision to follow through with a deal. For more information about the due diligence process or for assistance with mergers and acquisitions, contact the executive strategists at Business Benefits Group today.